Welcome to Campaign's weekly round-up of hires, departures and promotions across the industry. Publicis Communications has announced the promotions of Saatchi & Saatchi's Kate Stanners, the global chief creative officer, and Justin Billingsley, the global chief operating officer. 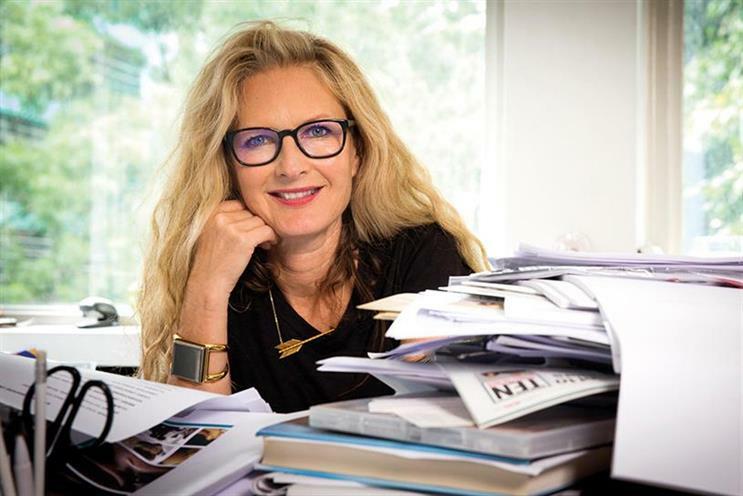 Stanners will now be adding the global chairwoman title to her existing role, while Billingsley will become part of a new local management team for Publicis Communications to aid collaboration between the agencies. Nick Bailey, the former UK chief executive and EMEA chief creative officer of Isobar, has joined full service film production company Dingo Bill. Bailey takes on the roles of chairman, chief creative officer and partner alongside Oliver Warren, the founder and chief executive, and Jacob Madsen, the executive producer. Abbott Mead Vickers BBDO's Gregory Roekens is moving to Grey to be its first future technology officer in EMEA. He will report to David Patton, Grey’s EMEA president and chief executive. Roekens was chief technology officer at AMV – a position he took up in 2012 – and helped launch the agency’s product innovation arm XLAB. The Advertising Association has named Stephen Woodford, former chief executive of DDB London, as its new chief executive. He will succeed Tim Lefroy, who leaves at the end of the year after& seven years. Group M has appointed Kelly Clark to the role of global chief executive, as Dominic Proctor, global president, announces he is to step down. Proctor will continue to work on strategic projects. Muhtayzik Hoffer, VCCP's San Francisco-based agency, has hired Jay Benjamin and Nick Johnson to lead its newly-opened New York office. Benjamin will be executive creative director and Johnson will become president. They will report to Matt Hofherr, co-founder and director of strategy, and John Matejczyk, co-founder and executive creative director at Muhtayzik Hoffer. Dave Henderson, the chief creative officer at MullenLowe London, has left the agency, ending an 18-year relationship with Rich Denney, MullenLowe London’s executive creative director. The duo joined MullenLowe (then DLKW Lowe) in 2011 from DDB London. A spokeswoman for the agency said: "He has elected to leave and to pursue other creative opportunities." Clear Channel UK is restructuring its commercial team by bringing all digital sales and creative services into a single department led by commercial director Chris Pelekanou. Under the new structure, all Clear Channel UK sales, marketing and creative services will report to Pelekanou, a former newspaper veteran who joined four years ago from Guardian News & Media. Domino's UK has promoted Simon Wallis to the role of chief operating officer. Wallis began his career at United Biscuits, before picking up senior roles at KFC, Pizza Hut, Papa John's and then Domino's. The chief marketing officer of doomed retailer BHS, Tony Holdway, is also joining the company. He replaces former sales and marketing director Simon Wallis, who has been promoted to chief operating officer. Ben Jaffe, strategy director at FCB Inferno, has been promoted to joint head of planning, and will work alongside Chris Baker who already held the position. Vicki Holgate, joint head of strategy, has become executive strategy director. Baker and Jaffe will run the strategy department, and Holgate will focus on "effectiveness and thought leadership". The trio report to Giles Hedger, chief strategy officer. Fred & Farid has appointed Lionel Benbassat, the marketing and product director at Eurostar, as its managing director in Paris. He will lead the daily operation of the Paris shop alongside executive creative director Olivier Lefebvre and former managing director Emmanuel Ferry, who has been promoted to chief strategy officer. Pret a Manger's group marketing director Mark Palmer is stepping down from his role and will instead take up an advisory role for the food chain which will see him mentor all Pret's marketing teams. Other changes at the company will see Pret’s food director Caroline Cromar add marketing responsibilities to a new brand director role while creative director James Cannell is promoted to Pret's operating board. Asda’s head of sales, strategy and innovation, Nick Bamber, has left the supermarket after six years. He will become director of customer acquisition for the holding company Betsson AB, which operates a number of gambling brands, such as Betsafe.com, out of Malta. At Asda, Bamber was responsible for innovating Asda’s digital media output, launching its programmatic ad exchange and shoppable videos on the Mums Eye View YouTube channel. Former Paddy Power chief marketing officer Gav Thompson has taken up a six month interim chief marketing officer post with C&C Group, the distributors of Magners, Bulmers and Tennents. Thompson left his previous post in March, after the merger of Paddy Power and Betfair. Zak Brown will step down as group chief executive, CSM Sport & Entertainment, at the end of the year. He will be replaced by Chris Satterthwaite, the chief executive officer of Chime Communications. Maxus has made three new appointments to its global executive board – Dan Benedict, Rudi Symons and Pam Sullivan. Benedict and Symons have also both been promoted to new roles. Benedict becomes worldwide chief client officer, while Symons has been named worldwide chief talent officer. Sullivan, will continue in her role as managing director of Maxus Los Angeles. Scott McClelland is moving on after four and a half years as APAC executive creative director of Bartle Bogle Hegarty to return to his native Australia. Replacing him is former Wieden + Kennedy and Goodby Silverstein and Partners creative Joakim Borgström, who moves from BBH’s London office where he was group creative director, to Singapore. He starts in November. A+E Networks UK has announced the appointment of Kenny Reynolds as vice president of creative. He will lead the 25-strong in-house creative team as well as overseeing all campaign work commissioned from external agencies. His appointment follows a restructure of the Creative team earlier in 2016. Social intelligence company Brandwatch has named Pat Phelan executive vice president for Global Customer Success. Phelan will manage a global team across Brandwatch offices in the UK, France, Germany, APAC and the US. Mike Black, one of the managing partners at marketing agency Brass, is retiring at the end of this week. Black started his marketing career in 1976 at Garratt Baulcombe in Nottingham as a junior copywriter, moving to Graham Poulter Associates in 1980, before joining Brass (then Brahm) as a senior copywriter in 1983. Deezer has appointed Riad Hawa to head up its global hardware partnerships division. Hawa has more than 10 years’ experience in consumer electronics and content distribution and has held a number of senior roles in companies including Universal Music, Acer and Sony Electronics and Spotify.